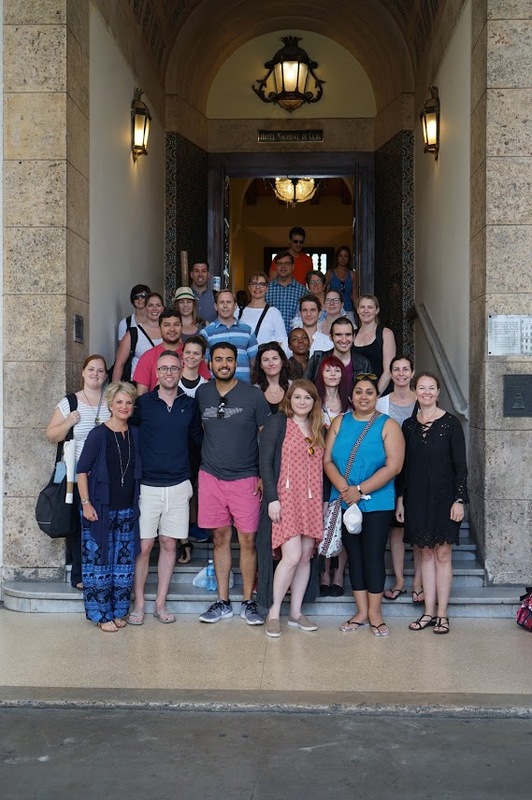 Belmont’s Jack C. Massey College of Business recently took a group of 27 alumni from the Graduate School of Business on the university’s first alumni trip abroad. The 4-day trip to Havana, Cuba focused on Cuban economy and culture and included tours of Cuban historical sites, cuisine tastings, museum visits, guided walking tours and an economic and political lecture, “Are Cuba and the US Back in Business” by Universidad de la Habana Chair of Communications/Business Departments. The group stayed at the historic Hotel Nacional de Cuba. The trip was a coordinated effort between the College of Business Dean’s Office and Belmont Office of Alumni Relations to renew and enhance relationships between graduate business alumni and the university. Alumni were included from a number of industries including health care, higher education, nonprofit, retail, insurance, marketing, governmental affairs and real estate, among others. The College is currently working to plan its second alumni trip and hopes to have details announced by the end of the summer.